A month on from a rapid Iraqi offensive which resulted in the retaking of Kirkuk and other Disputed Territories from the Kurdistan Regional Government, Erbil’s independence bid seems to have backfired spectacularly. – Turkey’s support for the offensive illustrates its willingness to sacrifice its relations with Iraqi Kurds and accept further Iranian influence in order to crush all Kurdish autonomy threats in the region. Following the September independence referendum on the future of Iraqi Kurdistan and the Disputed Territories, on October 15, Iraqi troops and the Iran-backed Popular Mobilisation Units (PMU) began an offensive against the Iraqi Kurds. Within days they established control of the Kirkuk and Nineveh Governorates. The loss of Kirkuk, and the revenue from its vast oil reserves, is a blow to Iraqi Kurdistan’s economy and any prospects for independence. A cease-fire has held since October 26 as Iraqi and Kurdish leaders engage in negotiations on the future of the Disputed Territories, border crossings and the status of Iraqi Kurdistan itself. The speed of the Iraqi operation has been attributed to the superiority of its equipment and support provided by Iran. 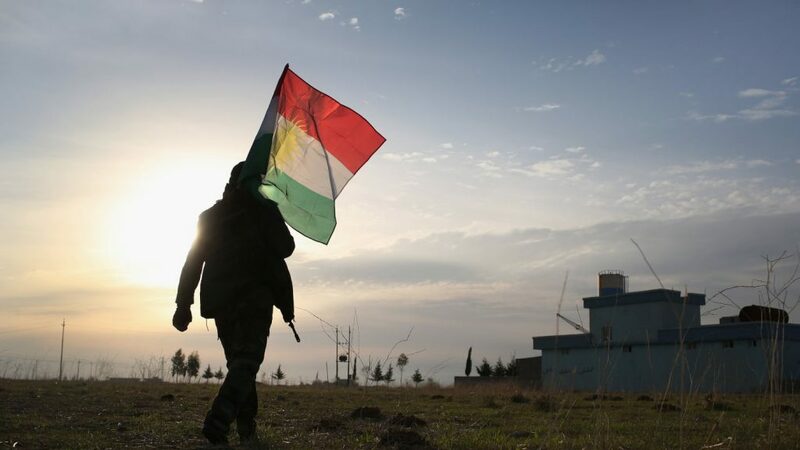 There are also conflicting reports of Peshmerga from the Patriotic Union of Kurdistan (PUK), which held Kirkuk, either withdrawing ahead of hostilities or doing so after suffering heavy losses. The quick Iraqi take-over of Nineveh from the governing Kurdish Democratic Party (KDP) Peshmerga also indicates the KDP’s lack of resolve. The fallout has deepened rifts between the KDP and the PUK, as well as within the PUK. Accusations of mismanagement of post-referendum diplomacy have been levelled at the KDP while factions within the PUK have been charged with collaborating with Iran. Either way, independence is now a distant prospect with Iraqi Kurdistan’s two military forces, never a unified entity, now deeply politically divided. The loss of the Disputed Territories so soon after the referendum, which was supported by both the KDP and the PUK, will result in a loss of credibility for the Barzani and Talabani clans which dominate their respective leaderships. Nevertheless, both clans maintain power through a wide patrimonial network and, in Barzanis’ case, tribal affiliations, and they are unlikely to be easily replaced. However, the death of the PUK’s founder Jalal Talabani following the referendum and the forced resignation of President Massoud Barzani of the KDP on October 30 have compounded uncertainty of leadership during this crisis, which won’t ease reconciliation. With all major parties in Iraqi Kurdistan calling for discussions with Baghdad there is a real prospect that the Kurdish divisions will not deepen in the short-term. However, the pre-existing divisions compounded by the loss of the Disputed Territories and mounting foreign interference mean that political infighting with the potential for violence will continue. SOVEREIGNTY RESTORED OR MORE FOREIGN INTERFERENCE? The speed and scale of the recapture of the Disputed Territories was a strategic, economic and symbolic triumph for the Iraqi central government. For a state humiliated by the rise of ISIS, the successful operation should greatly enhance Prime Minister Haider al-Abadi’s prospects in Iraq’s next elections. However, the endeavour has also made him more dependent on Iran, which has had considerable influence over the offensive through the PMU and the PUK. Tehran has played an instrumental role against Iraqi Kurdistan. With the PUK’s withdrawal from Kirkuk, facilitated by Tehran, Iran has affected a wedge between the Kurds which will increase its influence over the Sulaimani Governorate. Meanwhile, the Iran-aligned PMU have been the vanguard of the Iraqi offensive and now hold areas within the vicinity of border crossings between Iraq, Syria and Turkey as well as a number of oil fields. However, the PMU may undermine Iraqi sovereignty more than it protects it. 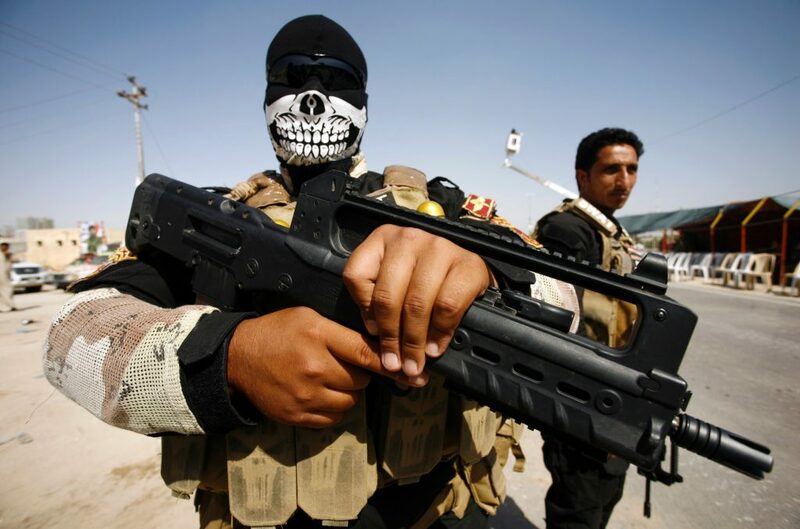 The force is made up of numerous mostly Shia militias, many of which have been linked to killings of Kurdish civilians and burning and looting of property. While Tehran may not condone the violence, it is likely to oppose attempts to bring the PMU under Abadi’s command. Sectarian violence perpetrated by the PMU, and a lack of central government oversight, will severely curtail Abadi’s attempts to re-integrate the Disputed Territories. The Iraqi advance and the increased Iranian influence it produced caught Washington off guard. Like most regional powers, the US did not support the Kurdish referendum and tried to negotiate between Barzani and Abadi. Secretary of State Rex Tillerson’s request for Abadi to halt the offensive was ignored while his subsequent call for the withdrawal of the PMU was scolded by the Iraqi Prime Minister. The current developments are therefore a multilayered blow for the US administration, with Barzani Kurds in retreat and Abadi and the PUK even more under the influence of Tehran. Washington will need to be seen to resolve the crisis quickly to underline the importance of its support and limit that of Iran. For their part, the Kurds appear eager to negotiate. However, US success will depend on the degree to which Abadi can act independently and decisively. US success in achieving a cease-fire and getting Iraqis and Kurds to discuss the status of border crossings indicates that the US may achieve this aim. It is also unlikely that Iran will want to risk the PMU’s considerable influence in Iraq with further conflict. Until now, the US has only played a diplomatic role, but further escalation by the PMU could result in increased US involvement that may potentially reverse the PMU gains. Like Iran, Turkey expressed strong opposition to the Kurdish referendum and took a number of limited measures, in coordination with Baghdad and Tehran, intended to curtail Kurdish sovereignty following the vote. Ankara has also supported Baghdad’s offensive against the Kurds, despite its historical claims to Kirkuk. 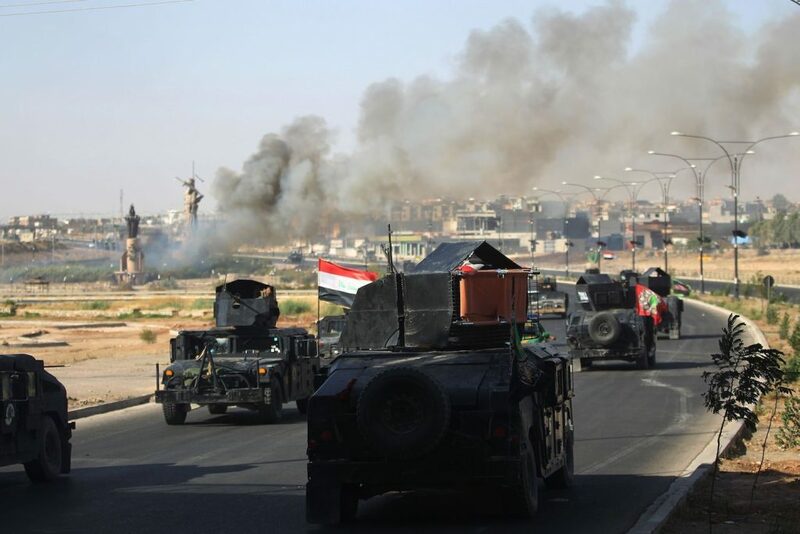 However, while the Iraqi offensive expelled the Kurds, it delivered the region into control of Shia militias, once considered by Turkey as terrorists. While satisfying anti-Kurdish sentiments in Turkey, the events have not advanced Turkish interests in Kirkuk. Nevertheless, Ankara’s thinking may be more strategic. The PMU influence notwithstanding, enhancing Iraqi sovereignty, including control of borders with Syria, will prevent the establishment of any larger Kurdish entity between the Syrian Kurds and Iraqi Kurdistan. It will also restrict movements of the forces of the Syrian Kurdish Democratic Union Party (PYD) and its close partner—and Turkey’s main foe—the Kurdistan Workers Party (PKK). It remains to be seen whether this decision will serve Turkish interests in the long run as Barzani has previously cooperated with Turkey in relation to its efforts to curtail both organisations. However, perhaps emboldened by the brutal crushing of the PKK at home, Ankara does not fear Kurdish militancy as much as any attempts to build Kurdish institutions. While there are real efforts underway to resolve the crisis, there remains a risk of unintended escalation due to the instability of the Kurdish leadership and the uncertain allegiances of the PMU. Lasting settlement, if it is to be found, is unlikely without indirect approval of Tehran.